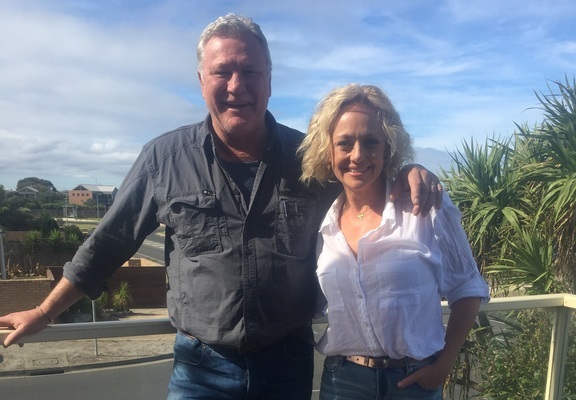 STARS IN TOWN: TV personalities Scott Cam and Shelley Craft were in Torquay yesterday for filming of The Block. TV personalities Scott Cam and Shelley Craft made a surprise visit to Torquay yesterday. The duo dropped into the coastal town as part of filming for hit renovation show The Block. Contestants were at Torquay’s Trevor Barker House on the esplanade reportedly completing a challenge for the new season. The beachside home acts as a holiday retreat for children and their families dealing with cancer, and has hosted more than 800 families. The reality show is entering its fifteenth season and is set to air later this year.